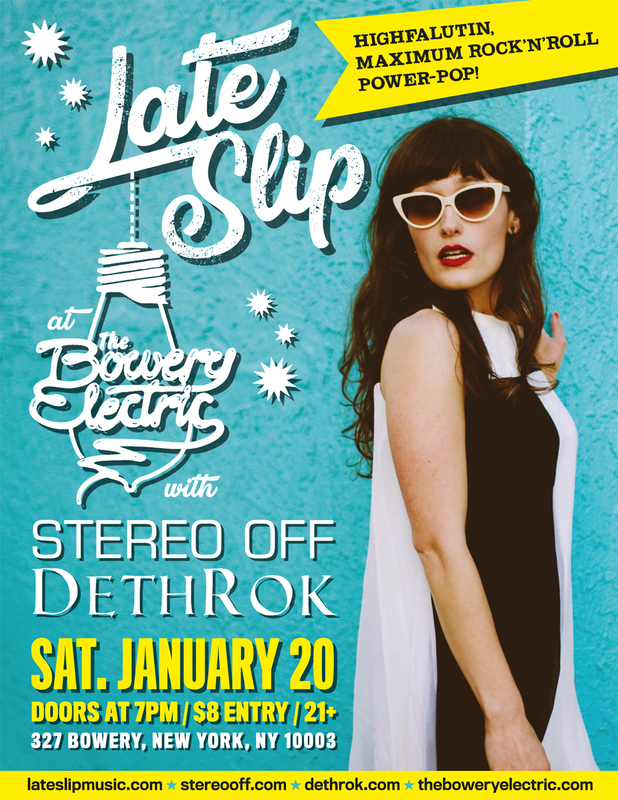 Late Slip hit the stage at the Bowery Electric Saturday January 20th with Dethrok and Stereo Off. The Bowery Electric is a great NYC rock'n'roll venue. We'll be on stage at 9pm sharp! 21+ / Tickets are $8 (or contact me to be on the door list).